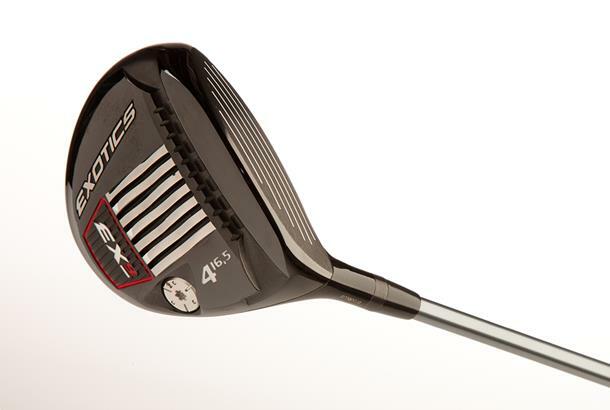 A variable thickness face creates optimal forgiveness for off centre hits. A “slipstream” sole reduces the amount of turf interaction at impact which means less loss of energy. A heavy sole helps lower the centre of gravity which Tour Edge say will help golfers hit shots out of any turf condition. With a loft that was 1.5 – 2 deg weaker than some on test it’s really unfair to compare the EX9 against the best for carry distance. What we will say is that its an incredibly good looking club at address, it sits really square and two testers thought they’d be happy enough with the looks to game it. Looking at our data there’s quite a large (19 yards) drop off in carry distance between our best and worst shots. These shots came from both the toe and heel which we reckon says the EX9 isn’t quite as good at preserving ball speed and managing spin as some on test. A lovely looking fairway that sets up really nicely behind the ball. £200 is a lot for a fairway from a company without a proven pedigree, which means it’s difficult for us to heartily recommend to the golfing masses.